Register Log In ECN Forum Forums Photo Gallery Way before smart phones, text, email!!! Way before smart phones, text, email!!! 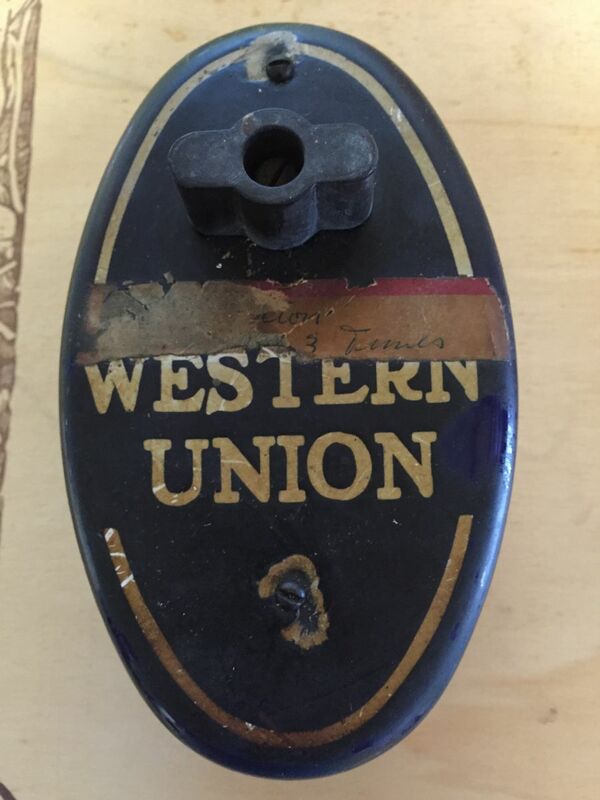 From what I understand, this was a 'call box' that was used to summon a Western Union 'runner' that this office had a telegram to be picked up and sent. I've had this laying around for at least 25+years. Removed (saved) from a demo job in Manhattan. Imay try to remove the remnants of the paper label. You might want to think about asking at an art gallery about seeing a conservator. It would be a shame to damage something this interesting by using the wrong chemicals to remove the tape.